The reason why people have vending machines is that they provide a service. It is a well established fact that having a vending machine within an office increases productivity. People can be free to have a drink or something to eat when they want without disrupting the work of other people. If you have a company with 120 employees and each one of them has to make their own hot drinks this can add up to 1200 minutes per week or 20 man hours, these simple figures show the benefit of a vending machine, they run 24 hours a day, they do not require holidays, they only require money and they can deliver a drink within 10 seconds. 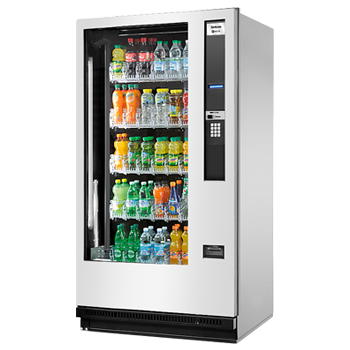 Our food machines meet the varying needs for 24 hour refreshment. 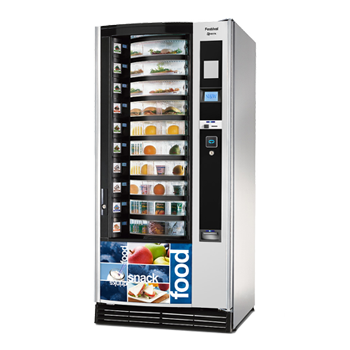 Items such as sandwiches, salads, ready meals and much more can be vended at any time in any location. There are a variety of snacks available for our snack machines. 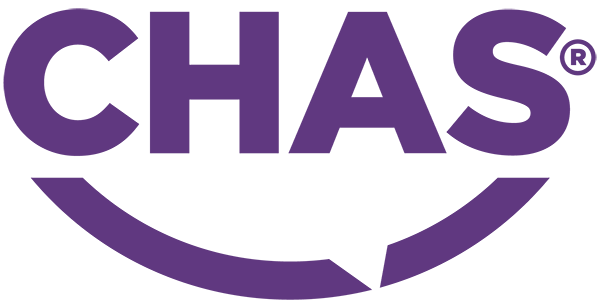 We only provide quality brands such as Cadbury’s, Walkers, Mars and much more. 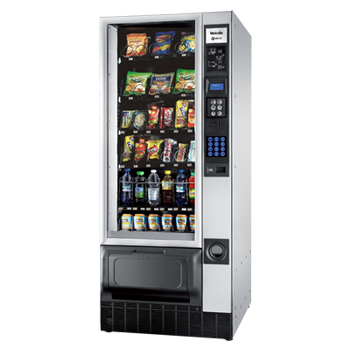 Snack machines provide easy and convenient access to food on the go. Stocked with quality brands such as Coca Cola, Evian, Oasis and much more. Refreshing cold drinks at your convenience. Drink selections can be personalised to suit the needs of each individual customer. 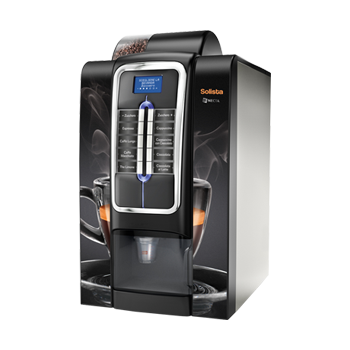 We have a variety of coffee machines available from table top to free standing. You can have that coffee shop experience at your convenience. 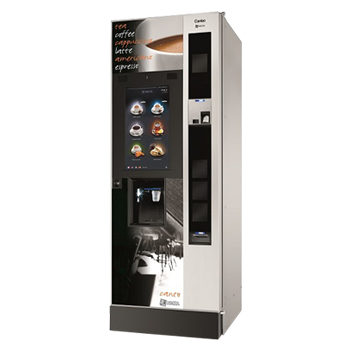 If space is limited and you need a small versatile coffee machine that delivers fast quality tasting cups of coffees, teas, cappuccinos or chocolates, then we have a range of table top machines for you to choose from.